Rahm Emanuel, Mayor of the City of Chicago, has officially proclaimed January 27, the feast day of the revered Serbian patron saint of education and culture, as Saint Sava Academy Day in Chicago in recognition of the school's work and for its contributions to the community. The Mayor's proclamation also noted that Saint Sava Academy is "the only full-time elementary school in Chicago offering dual language education in both Serbian and Russian languages," "offers a safe community where students are able to express their culture and religious beliefs," and "sustains an Orthodox faith-based education that provides students a strong spiritual compass both inside and outside the classroom." 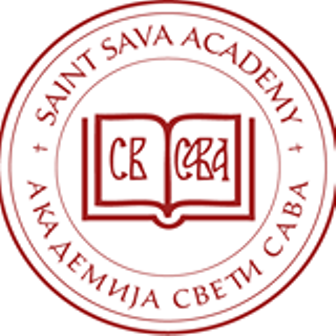 Founded in 2001, Saint Sava Academy is the dual language parochial school located at the Holy Resurrection Serbian Orthodox Cathedral in Chicago. Consulate General of the Republic of Serbia believes that the Proclamation is a significant affirmation of the Academy of "Saint Sava" in Chicago. It gives this Serbian school recognition and acknowledges the efforts of the Academy in education of the new generations. Consulate General values that, in addition to being significant to the school, the Proclamation further affirms and emphasizes the importance and contribution of the Serbian community in the development of Chicago. The text of the Mayor's proclamation is here.